I have a lot of random thoughts, and I’m sometimes guilty of writing in random fashion, neglecting to show how one thought connects with another. In talk, too, I’m likely to confuse listeners with seemingly unrelated comments. So what’s the connection between an Edna St. Vincent Millay poem and a habit of random thinking? Only that the poem has been running through my mind, and I’m curious to know why. I hope this writing will help me figure it out. Millay’s approach to this relationship seems unselfish, though maybe she’s looking for an ‘open marriage.’ Most of us aren’t generous that way. I want my closest relationship to be not just summer but three seasons and more. The poem says it’s impossible to be everything another person needs or appreciates. It proposes a cordial acceptance of things we may not like, because otherwise, the relationship may be totally broken. To paraphrase, you don’t have to love everything about me. I don’t have to like everything about you or what you do, but unless I’m willing to break the relationship, I must care about your needs. I like Millay’s acceptance of different needs. All relationships benefit from a little generosity. I think especially of countries where people with sectarian differences are breaking relationships, destroying property and killing each other. I wish people in warring families and sectarian groups cared more about the needs of those on the other side and less about their own fears. Fears are often exaggerated, false, and promoted by people with power and profit motives. I think violence in the world is the reason this poem keeps coming to mind. Differences are not easy to live with. In our closest circles, we like harmony, cooperation, and at least our share of control. We want to be liked and approved, and we like people to agree with us. We don’t have to give in to the other side or give up three seasons of the year. Maybe keeping some kind of relationship takes only two minutes a day—two minutes of respect for individuals we find hard to tolerate, for lifestyles we can’t understand, for people we condemn as greedy and incompetent, for a human who took a life, for groups that want to destroy us, for everyone who speaks and acts from fear of others. Two minutes of putting ourselves in their place. All right, the poem is about a love relationship, not warring societies. 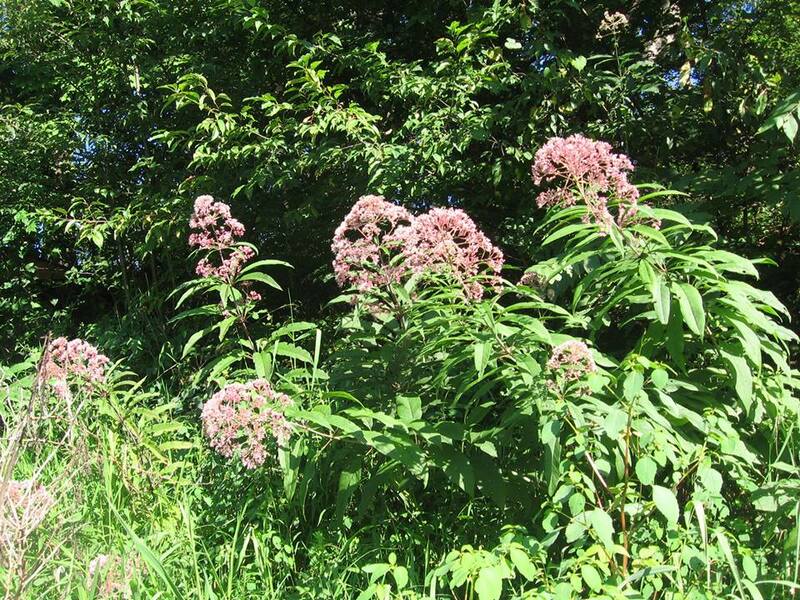 And the photo shows Joe-Pye Weed, no connection to the post or poem, but bothering me in a random way because I couldn’t remember the name of this big purple bloomer. You see what happens in the mind of a random thinker. Next postHelp! I’m not a geek! Random thoughts? Perhaps. Or a story brewing! I have too many stories brewing! I’m working at being more accepting of things people do or say that I don’t agree with. I wonder why we take it so personally when someone believes differently than we do? I find it hard to disagree in a cordial way. Maybe I’m also afraid of being convinced by the other opinion. sharing your thoughts and the lovely Millay poem. Time for me to revisit her writings. Hugs across the miles…. Hugs to you too, Susan. Hope you enjoyed this reblog from one of my favorite authors. Lindy, thanks for the reblog. My words pale beside yours!